The lengthy rainy season there makes it very difficult for African peasant farmers in rural areas to keep their grains stored in dry conditions. Often they lose as much as 40 percent of their harvest. 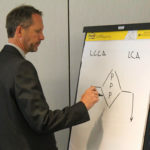 Student engineering researchers at Purdue University may have a solution. Their project, “Development of an Economic Grain Storage System for Rain Season Harvest in Rural Africa,” earned the 2018 ASCE Sustainable Development Award at the Environmental Protection Agency’s National Sustainable Design Expo. The EPA P3 “People, Prosperity, and the Planet” program features a college competition in two parts. 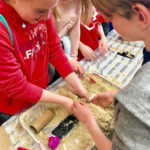 Selected student teams are given $15,000 grants during the school year to develop proposals for solutions toward a sustainable future. 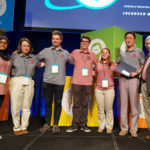 They then bring their designs to the design expo in Washington, DC, as part of the USA Science and Engineering Festival, to compete for the P3 award and a grant of $90,000. 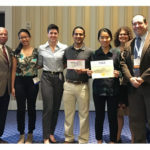 The ASCE Sustainable Development Award, sponsored by the Society’s Committee on Sustainability, bestows $1,000 on a student team for a project that solves a pressing need in a developing country, based on the project’s simplicity of design, its use of local raw materials, and its widespread effect on quality of life in that region. Wu and his team developed a device that harnesses the energy created when a raindrop strikes a roof and converts it into electricity. The electricity can then be used to temperature-control grain storage facilities, thereby saving the crop. Talk about turning the problem into the solution. 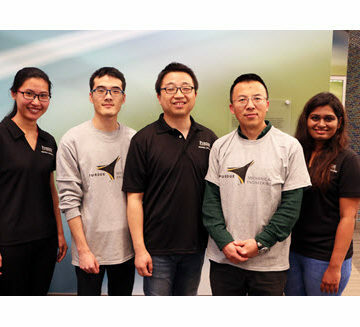 The first-place Purdue team included doctoral candidate Ruoxing Wang and undergraduates Wentao Zhong and Unmesha Kale, led by faculty advisers Wu and Jun Chen.